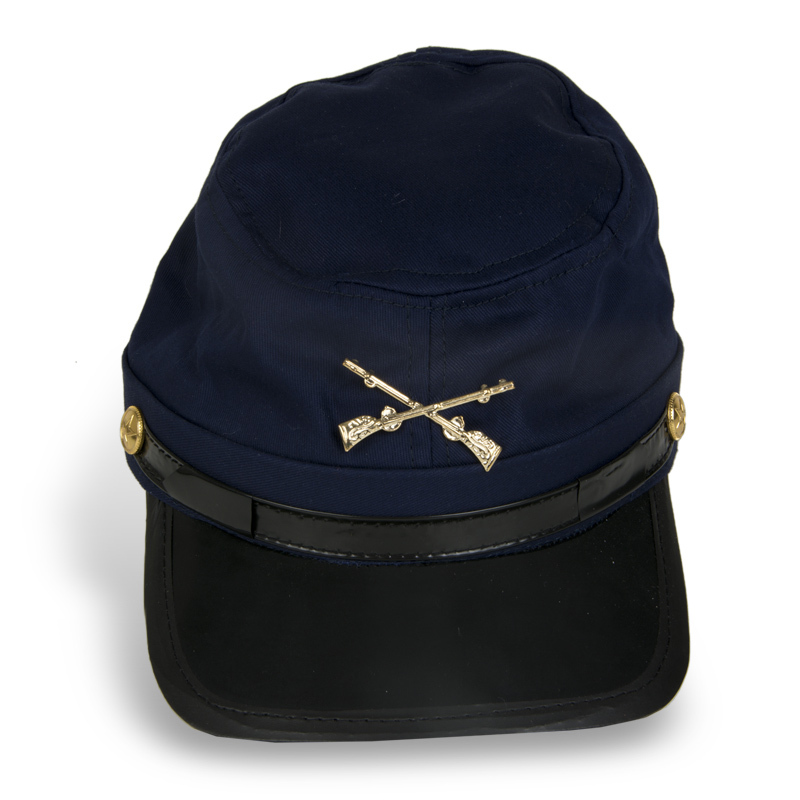 The cotton Union “McClellan” cap or kepi was used during the American Civil War, 1861 to 1865. Similar to the kepi of the French army in the early 19th century, the Union forage cap is dark blue with a flat top, a square-shaped black bill. Some forage caps had insignias: infantry (brass horn), engineers (castle), cavalry (crossed sabers), and artillery (crossed cannon barrels). Crossed rifles replaced the infantry horn in the 1870s.